If you’ve ever led people, you’ve come across followers who would rather act the part than do their part. How can you tell the difference between the two? 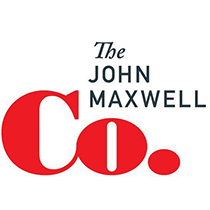 John C. Maxwell explains. If you’ve ever led people, you’ve come across followers who would rather act the part than do their part. On the surface, they appear to be productive members of the team. But if you look closely, you’ll see cracks in their façade. These people are pretenders. Pretenders do everything they can to look like players. In fact, they’re motivated more by appearing productive than by being productive. With them on a team, momentum suffers and relationships are compromised. They can’t be trusted to do the work, because they’re so focused on how they appear. 1. Players have a servant’s mindset. Pretenders have a selfish mindset. Players do things for the benefit of others and the organization, while pretenders think only of benefiting themselves. Pretenders are narrowly focused only on outcomes that are in their best interest. 2. Players are mission-conscious. Pretenders are position-conscious. Players will give up a position to achieve a mission. Pretenders will give up a mission to achieve a position. For players, the success of the mission is much more important than their own place within it. But pretenders will value their position more highly than just about anything else. 3. Players can deliver the goods. Pretenders only promise the goods. Players are team members who can be counted on to finish a task every time. Pretenders will always claim the ability to do so; but in the end, they do not consistently execute. 4. Players are job-happy: they love what they do and do it well. Pretenders are job-hunters: they can’t do what they do where they are, but they think they could do it better somewhere else. For players, the work is fulfilling and meaningful, and they are devoted to doing it well. Pretenders are so focused on appearing competent that they cannot always be competent. And again, because of the focus on appearance, pretenders won’t admit fault when mistakes are made. Thus, they believe that problems are the fault of the workplace, not of them. 5. Players love to see others succeed. Pretenders are only interested in their own success. 6. Players value integrity. Pretenders value image. For ships, the rule is that the part that’s under the surface should weigh more than what’s above the surface. Otherwise, a ship will be top-heavy and capsize in a storm. Integrity is like that: what’s under the surface has to be greater than that which is in plain sight. A player can be counted on to do the right thing even if nobody is looking. Pretenders may only do the right thing when others are looking, and whatever is expedient when others are not. 7. Players make the hard choices. Pretenders make the easy choices. With a hard choice, the price is paid on the front end; the payoff only comes later. Few people gather to affirm the hard choice, and it almost always includes risk. And the hard choice usually places others and the organization above self. Players make those decisions. Pretenders avoid them, because the risk outweighs the acclaim. 8. Players finish well. Pretenders fade out. Some people start as players, but turn into pretenders. Why? I believe it’s because they make the choice to begin, but get tired of the work it takes to continue. Or they begin and proceed until they are confronted with the need to change. Unwilling to do that, they begin pretending in order to get by. A player takes all tasks to completion. Do you have any pretenders on your team? They may talk a good game, but in the end, you can’t depend on them. And because they care more about their image than the success of the team, you can’t trust their motives. Finding and weeding out the pretenders will allow the players to really shine and achieve the goals of the team. Think of the wins a team of true players can achieve!